Home / Stock Picks / Stocks to Buy / Can Tesla Inc Stock Shift Out of Neutral In 2018? Can Tesla Inc Stock Shift Out of Neutral In 2018? It seems like a lifetime ago that I told InvestorPlace readers that Tesla Inc (NASDAQ:TSLA) could “absolutely hit $1,000.” My premise is that investors were valuing Tesla stock at $570,000 per vehicle produced on an annual basis. A mighty rich valuation considering investors were valuing Ford Motor Company (NYSE:F) at $6,400 per vehicle. I suggested that to get to $164 billion and a Tesla stock price of $1,000, it had to produce 500,000 vehicles in 2018 at a valuation of $328,600 per vehicle, about 58% less than June 2017 levels. How’s It Doing on This Front? Tesla shut down Model 3 production for a week in late February to fix the problems putting a crimp in the production numbers of the car maker’s more affordable sedan. Tesla believes it will hit 2,500 Model 3s by the end of March and double that by the end of June. If accurate — and we know that’s a big if — Tesla would hit an annualized production rate of 240,000 Model 3s (48 weeks multiplied by 5,000) by mid-summer. In my article from last year, I noted that Morgan Stanley (NYSE:MS) thought Tesla wouldn’t hit 500,000 Model 3s annually until 2024. At 240,000 by the end of 2019, it’s got a shot at delivering 500,000 ahead of that schedule; perhaps two to three years earlier than Morgan Stanley expects. Tesla’s already burning through a lot of cash — almost $4 billion annually — but if it wants to retain its position as the number one producer of electric vehicles, it’s got to get another production facility so that it can broaden the number of vehicle segments available to potential customers. 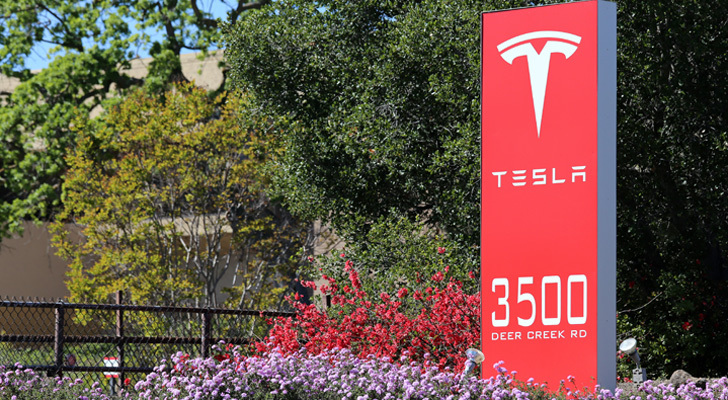 It currently produces the Model S, X and 3 at its plant in Fremont, California. Assuming it can’t handle any additional capacity beyond those three vehicles, it’s going to need a second one for the Model Y, a semi-truck for the commercial market and a pick-up version of the semi for the consumer market. To do all of that it needs to access more capital. How much more, I couldn’t begin to estimate, but it’s going to be in the billions. Considering interest rates are starting to rise, I would think it would lean toward issuing more Tesla stock, but I’m not the CFO. First, I’m going to assume that Tesla opens a second production facility by the end of 2022. Second, I’ll assume it hits one million vehicles by the end of 2024, two years after opening a second facility, and ten times what it produced in fiscal 2017. Will it get to 500,000 vehicles in 2018? I doubt it. If it hits 250,000, I would think investors would be ecstatic. That even seems like a stretch at this point. Last year, Toyota Motor Corp (ADR) (NYSE:TM) and Mazda Motor Corp (ADR) (OTCMKTS:MZDAY) announced they would spend $1.6 billion to build a new vehicle assembly plant in the U.S. that is capable of producing 300,000 vehicles annually. It’s expected to be ready by 2021. That’s a cost of $5,333 per vehicle to build the joint-venture factory. I’ll assume it would cost Tesla double that amount to build its factory for a cost of approximately $3.2 billion. At the current share price, it will have to issue 10-11 million shares to pay for the factory, a dilutive factor of just 7%. It’s a small price to pay to get Tesla producing more vehicles, the key to moving its share price higher. I’m a fan of Elon Musk so I’m still onboard his vision for the company. However, the risks associated with its stock are higher than they’ve ever been and that makes it more speculative in nature. If you need these funds, I’d move to something less speculative. If not, I’d hang tight, but it’s going to be a bumpy ride. Does it get out of neutral in 2018? Probably not until later in the year when the production numbers become more real. Article printed from InvestorPlace Media, https://investorplace.com/2018/03/can-tesla-stock-shift-out-of-neutral-in-2018/.